How many big cities have beaches? The 57th Street Beach and Promontory Point are less than 2 miles away from our hotel. The beach is directly across from the Museum of Science and Industry. The beach has a concession stand, a life guard and bathrooms. Promontory Point is a man-made peninsula that juts into Lake Michigan at 55th Street. The landscape was designed by Alfred Caldwell in the traditions of the Prairie School. The park contains a historical Field House that opened in 1937. This makes the park is a favorite site for weddings and corporate events. Locals fill the park each week and on the 4th of July for a perfect view of the Navy Pier fireworks. Viewers are delighted by the Navy Pier firework show every Wednesday and Saturday between Memorial Day and Labor Day. 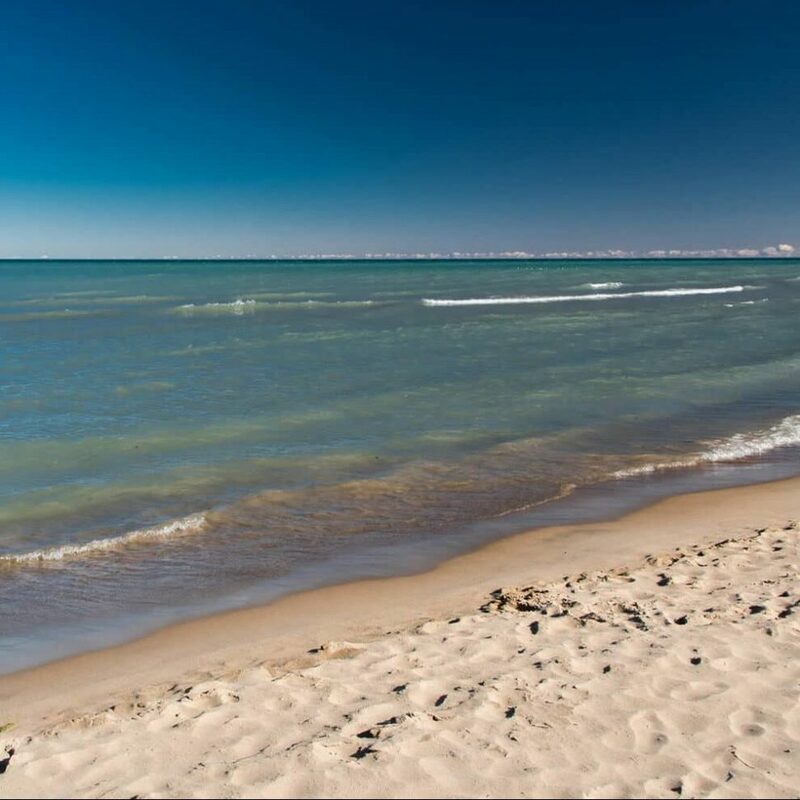 The north side of Promontory Point has shallow water and the bottom of the lake is sandy. Boats cannot enter the swimming area. The 57th Street Beach and Promontory Point are both great swimming spots for families, kayakers and windsurfers. The Chicago Park District occasionally restricts swimming throughout the city. They keep an updated list of restrictions on their site. Just look for a green check mark in the status column if you are interested in swimming. Keep in mind that a swimming restriction doesn’t mean the beach is closed to sunbathers. The concession stand at the 57th Street Beach offers standard family favorites like hot dogs, pizza or ice cream that any kid will love. However, Hyde Park has some great restaurants if you would like a unique experience. Check out our list of restaurants if you would rather take a picnic lunch with you.